Okay, here is where I admit to being the typical heathen fangirl. Until Monday, my only experience of the theatre was childhood panto trips and a dance/musical play put on by a friend. 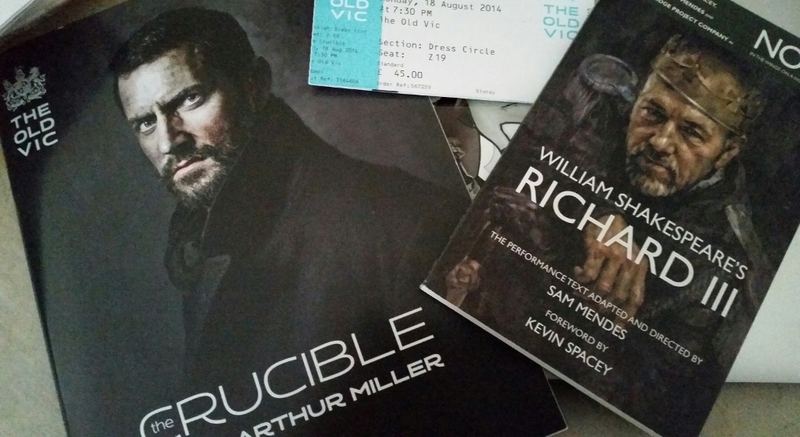 Yes, I booked tickets to see Arthur Miller’s ‘The Crucible’, purely because of the lead actor – Richard Armitage. There’s been a lot in the press about the lack of theatre decorum displayed by first time theatregoers – attracted to the posh person’s version of the movies by film star hunks like Armitage, Freeman and Cumberbatch. Not wanting to get anything wrong – and face the wrath of any pearl clutchers in the audience, I read up on what one should do in a theatre. 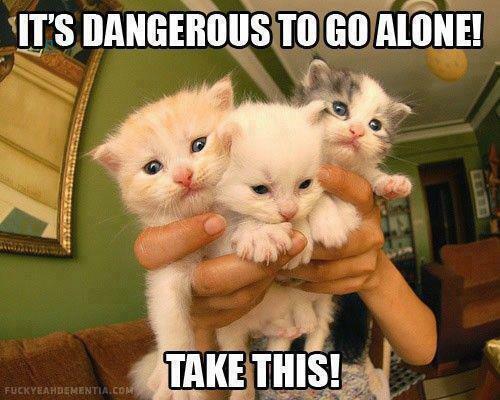 Do not go alone or you shall be regarded as sad, weird and just wrong. Well, tough. I love going to the cinema alone, because I can focus on the film without someone gassing on about it. What can I say, I’m an introvert. Also, many of my friends don’t share my taste in entertainment. So am I not supposed to ever go to watch a film or a play? I think not. No pictures. There are a few “look at the view from my seat” photos floating around Twitter, yet the theatre staff told us not to take photos. Tut tut naughty people. Anyway, after struggling with an overwhelming urge to stay in bed all day, rather than – you know – go out and get some culture, I made my way to Waterloo and from there, to the lovely Old Vic theatre. Okay, so after buying a program and “text of the play”, which was actually a text of Richard III (the lady said “of course, why would we be selling the text of the play that’s actually showing?” ah, sarcasm, how I love thee…), I made my way up the Dress Circle, seat Z19. The seats are very comfortable (essential for a play that lasts 3hrs 30mins). The view was fine – you could see all of the action, but I’d go for the front row of the Dress Circle, or the Stalls in future. While you get a lot of information from the actor’s body language and voice (for the most part), I think you need to get a bit closer for the more subtle facial expressions. The play opened with creepy music, “herbal smoke” (I’m saying nothing) pumping onto the stage, and a brilliant use of lighting that set the tone for the rest of the play. The set was pared down as much as possible, with set changes becoming part of the performance. All of this contributed to the overwhelming sense of eeriness. Wow. What a marvellous bunch of actors. The older actors were enthralling, and the young women who played the accusers were wonderful. My favourite performances were from Richard Armitage (a seriously conflicted John Proctor), Samantha Colley (Abigail Williams, probably the most vindictive fictional teenage girl ever), Ann Firbank (the voice of common sense, Rebecca Nurse) and William Gaunt, who made the audience laugh as Giles Corey. The whole Salem witch trials subject is fascinating, and scary enough without creating a fiction around it. The play focuses on John Proctor, and how his illicit relationship with his teenage servant, and her desire for vengeance after he rejected her, led to the conspiracy that resulted in the trials. I find it interesting that the main driver of events in the play was the illicit affair between John Proctor and Abigail Williams, yet in reality it was probably due to a family feud between the Putnam and Porter families. The play could have focused on this feud, and been written from Elizabeth Proctor’s point of view, as history says that she survived the trials and went on to remarry. It is a shouty play, but there are also parts where people talk over each other and talk very quickly. Again, some of dialogue gets lost – at least it did from where I was sitting. But I don’t think it took that much away from the play – if anything it felt more natural and chaotic. Most of the reviews mention the tension in the play – I didn’t find it tense. It was absorbing – the time flew by. It was creepy. There was also a tinge of the ridiculous about it, all of the sensible adults had their “oh, come on!” moments, but rather than tension, I found the whole play had a sense of inevitability about it. I know that the message is supposed to be about the perils of mass hysteria, but for me the stronger message was – don’t screw around on your wife. If the play had been more historically accurate, I think the hysteria message could have been stronger, but John Proctor’s internal conflict was the more powerful theme for me. The performance was spectacular. Natalie Gavin as Mary Warren was especially brilliant in the final acts of the play. If they have any sense, they’ll film it for the BBC or stick it on a DVD, so that anyone who didn’t manage to get to London to see it can experience the play for themselves. I keep remembering bits from the performance, and wishing I could go and see it again.